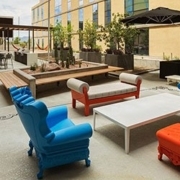 Biophilic design, connecting people with nature, continues to reign as a major trend in hospitality design. Countless studies have shown the positive effects of nature-based design themes on people, including decreased stress and an increased sense of well-being. And these effects aren’t limited to live plants; it’s been proven that simply looking at representations of nature (such as lifelike artificial plants) has similar effects. 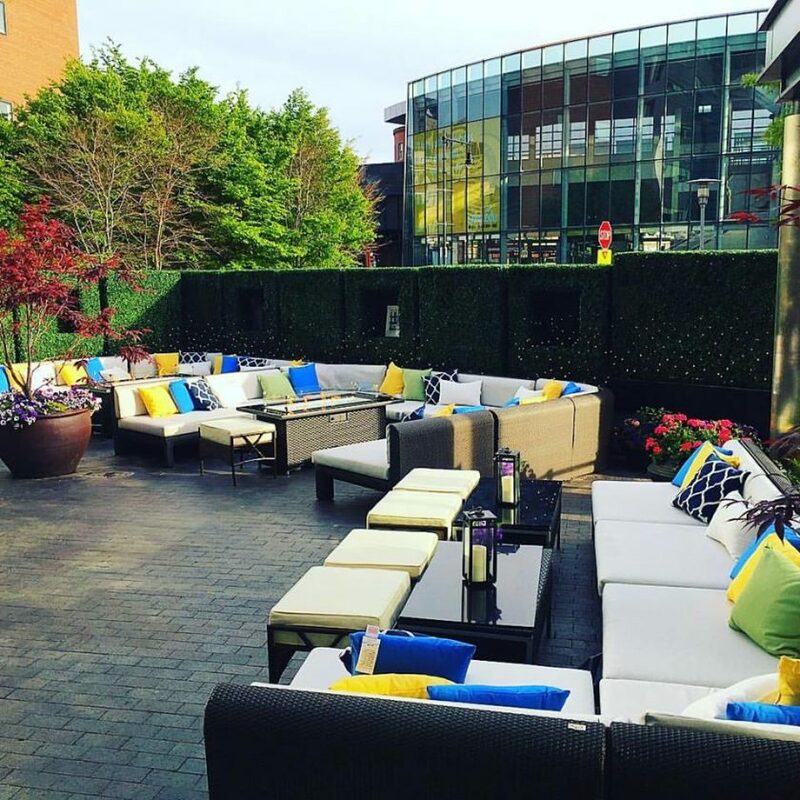 Hospitality designers often come to Artificial Plants Unlimited wanting green design elements for hotels, restaurants, and other places that serve the public because they want the aesthetic of greenery but without the added maintenance and costs of live plants. We create custom-made, one-of-a-kind living walls, natural trunk trees, natural reed screens, and other nature-based designs for them that look so real people don’t know the difference. Here are some ways we can help you achieve the same effect in your design. 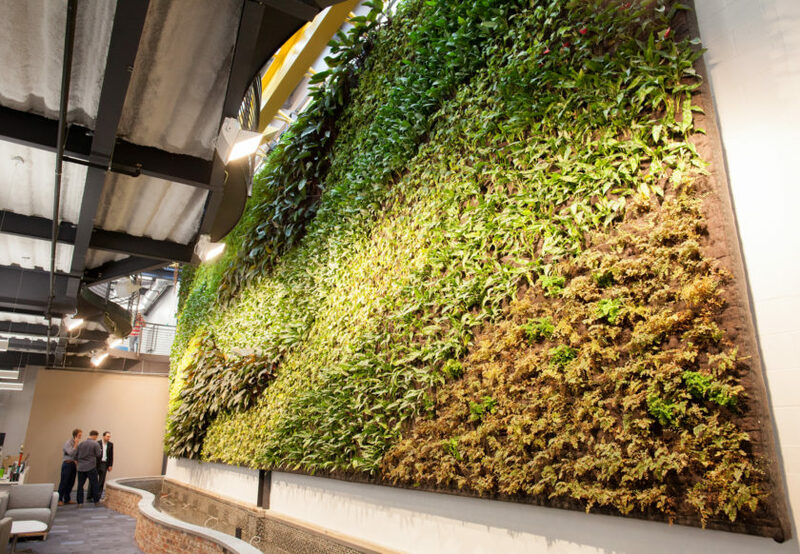 The benefit of an artificial living wall is that you can create the exact design you want with the foliage, and in virtually any size, and not have to worry about it withering or dying. This means no leaky water reservoirs dripping on your floors (or your guests! ), no visual inconsistencies where one part of the wall looks healthy while the other is turning brown. This also means that larger living walls or those hung in hard-to-reach places don’t have to be accessed in order to be watered, trimmed, or replaced. 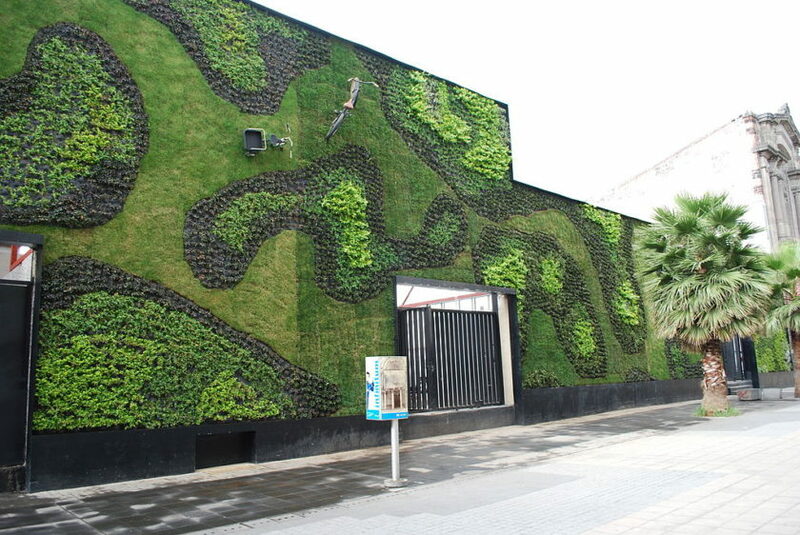 At Artificial Plants Unlimited, we offer existing living wall designs or completely custom-made designs for our clients. Whether it’s meant to serve as a focal point behind a hotel registration desk, elevate the design of an upscale restaurant, or break up a bland wall with unique, nature-inspired art in any modern space, our living walls are a popular choice—indoors and out—for zero-maintenance, bespoke pieces mixing art and nature. Serving your space as both contemporary design piece and space divider, our ornamental reeds act as screens that filter views without blocking them and delineate space effectively. All at once realistic in form yet artful in design, these chic screens can be used on their own (“planted” in the ground directly) or in a modern planter to stylishly section off small areas for dining or lounging. 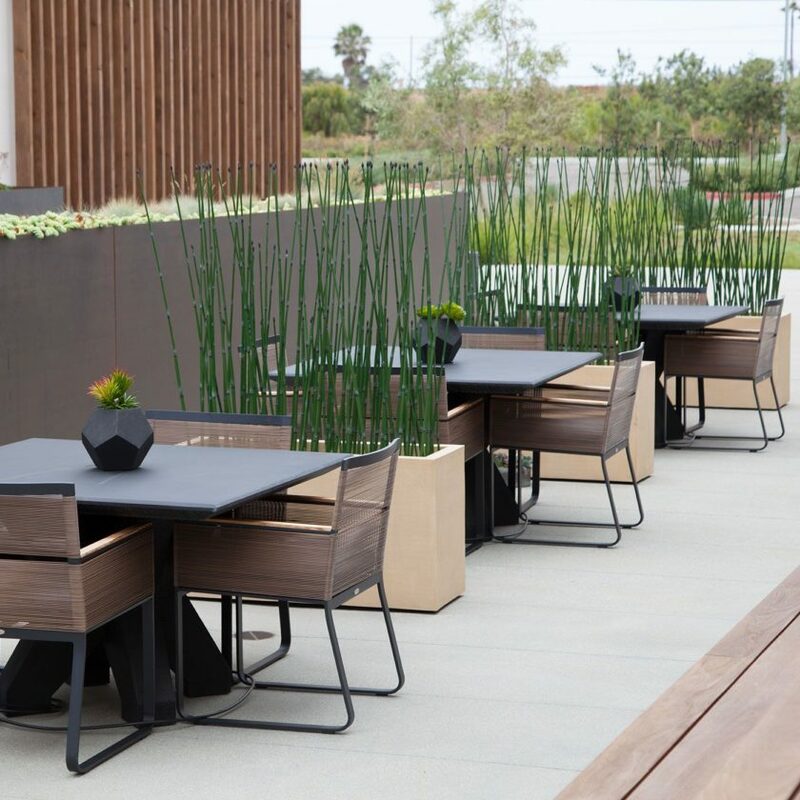 Popular for upscale hotels, resorts, restaurants, and shopping malls, our horsetail reeds and bamboo groves can be used to line a balcony or terrace, flank a walkway, or simply as décor in modern and minimalist spaces. Made from commercial-grade materials, these decorative reeds and groves are durable enough for outdoor environments, yet intricately detailed enough to withstand even close scrutiny, making it hard to decide if they’re real or not. Our natural trunk trees look real because they are, partially. 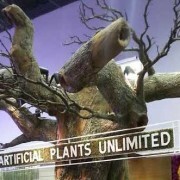 Though not live, the trunks of these natural-looking trees are made from sustainably harvested real wood. But with no need to water, fertilize, or care for them, they are the ideal natural design accent—even focal point—as they can live in any environment, indoors or out, and maintain their beauty and structure. Made to order, each tree is unique in size and profile so that they fit your space. 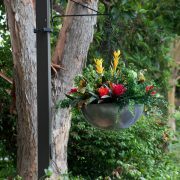 Place them in outdoor shopping areas, hotel lobbies, entryways, driveways, and walkways. 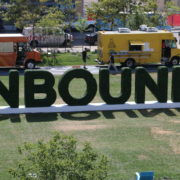 There are so many uses for our artificial hedges, from space divider to noise suppressor to lush greenery. 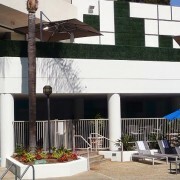 Perfect for blocking unsightly views and directing traffic, these UV-protected, outdoor-grade green hedges have a streamlined appearance that fits seamlessly into any modern design theme. Available on their own or in modern fiberglass planters in your choice of finish, choose between leafy English Ivy Hedges or Boxwood Hedges. 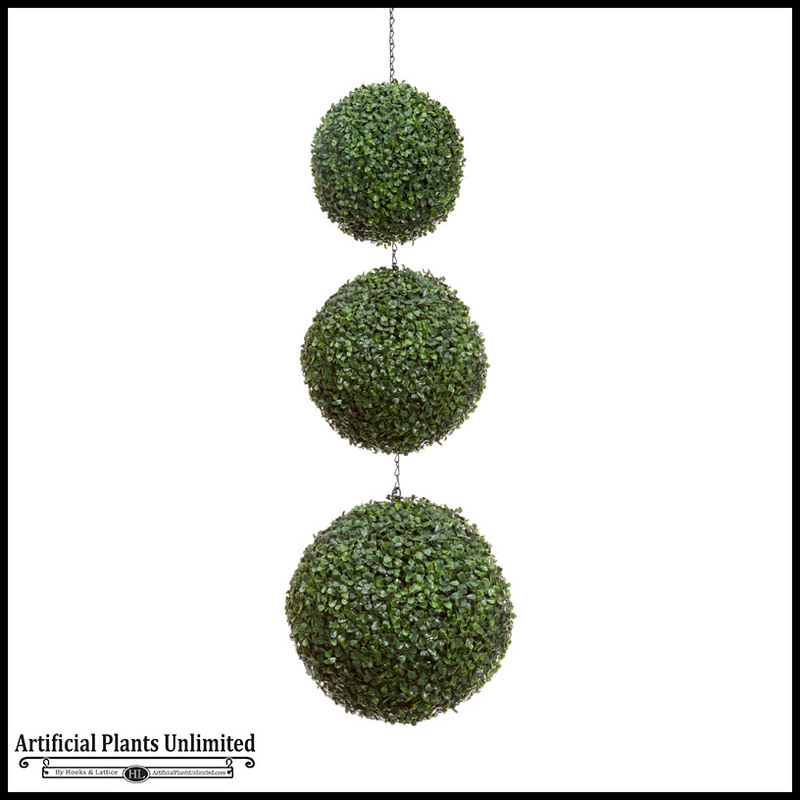 We’ve already discussed the many design possibilities of topiary spheres, and their versatility is a major plus for hospitality design themes, as they can be hung individually or in a grouping from ceilings in hotel ballrooms, hotel spas, urban eateries—anywhere and everywhere! Handcrafted from lush faux boxwood, these fantastical shapes add dimensional fun and a modern sensibility all in one. 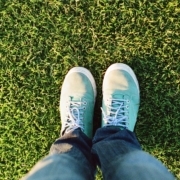 Have a custom design in mind for your new green space? We’d love to help you turn it into a reality! To talk to one of our design experts, call us at 1-888-320-0626. Photo credits for top two photos: Thelmadatter and Citrix Systems. 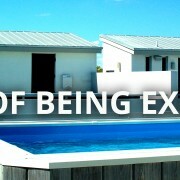 Blog featured image courtesy of Scott Webb.